Ernest “Ernie” Eugene Fought of Warsaw, Indiana went home into the arms of Jesus at 11:56 p.m. on Wednesday, March 20, 2019 at his residence at the age of 83. He was born on October 27, 1935 in Albion, Indiana to Winifred Irene (Nelson) Fought and Ernest Owen Fought. On June 5, 1976 he was married to Wilma (Brandt) Snyder Fought, who survives. Ernie enlisted in the U.S. Air Force in 1954 and served until his honorable discharge in 1958. He attended International Business College for two years and worked as an accountant and office manager for Farm Bureau Co-Op for 33 years. Ernie kept active and worked at Walmart for 16 years. He moved to Warsaw, Indiana in 1963 where he was a longtime member of Winona Lake Free Methodist Church and a member of the American Legion Post #49 in Warsaw. Ernie was an avid Cub’s fan, a Warsaw sports enthusiast, and enjoyed being a member of the Men’s Prayer Breakfast at the church. He will be dearly missed by his family and friends. He will be lovingly remembered by his wife of 42 years, Wilma Fought (Warsaw, Indiana); son: Phillip W. (Sara) Fought (Chevy Chase, Maryland); two daughters: Teresa A. Kirby (Fort Wayne, Indiana); Melissa (Mike) Reichard (Fort Wayne, Indiana); and his step-daughter: Celestra Snyder (Wichita, Kansas). Also surviving are four grandchildren: Cory, Tyler, Becca and Corey; sister: Erma Buckles (Columbia City, Indiana); and two brothers: Bryon (Marilyn) Fought (Ligonier, Indiana); Harold (Sallie) Fought (Ligonier, Indiana). He was preceded in death by his parents, four brothers, two sisters, and his step-son. 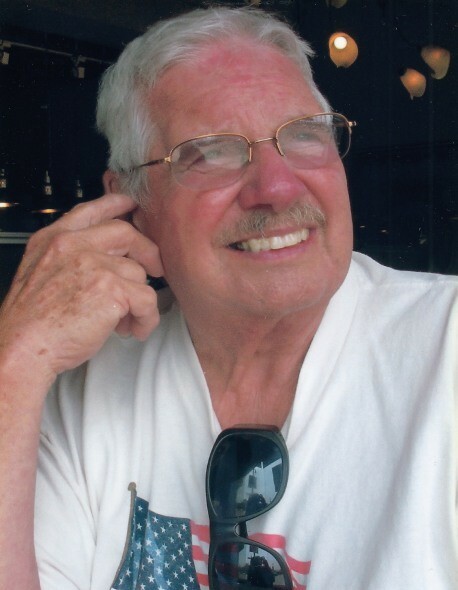 Visitation will be held on Sunday, March 24, 2019 from 1:00 – 3:00 p.m. at Redpath-Fruth Funeral Home, 225 Argonne Road, Warsaw, Indiana. There will also be calling an hour prior to the service on Monday, March 25, 2019 from 10:00 – 11:00 a.m.
His funeral service will be conducted at 11:00 a.m. on Monday, March 25, 2019 at Redpath-Fruth Funeral Home and officiated by Pastor Rick Hurley. Burial will follow with a 2:00 p.m. graveside service at Oak Park Cemetery in Ligonier, Indiana with military rites conducted by members of the West Noble American Legion Post #242 of Ligonier and active duty members of the Air Force Honor Guard. Memorial donations in Ernie’s name may be directed to Winona Lake Free Methodist Church, 902 College Avenue, Winona Lake, Indiana 46590 and would be appreciated by the family.